Danish State-owned Femern A/S choses ÅF together with sub-consultants as technical in-house consultants for the Danish-German Fehmarnbelt tunnel project. The tunnel will shorten the trip from Copenhagen to Hamburg by 160 km. A comprehensive international team of consultants comprising of ÅF in Denmark, Norway, Sweden, Atkins Danmark and the German consultancy company Obermeyer Planen + Beraten GmbH will be in-house consultants to Femern A/S’ Technical Division for the coming years. During the framework agreement ÅF and sub-consultants will provide specialists and resource personnel to Femern A/S’s Technical Division which is responsible for projecting and establishing the tunnel, technical installations and land installations. 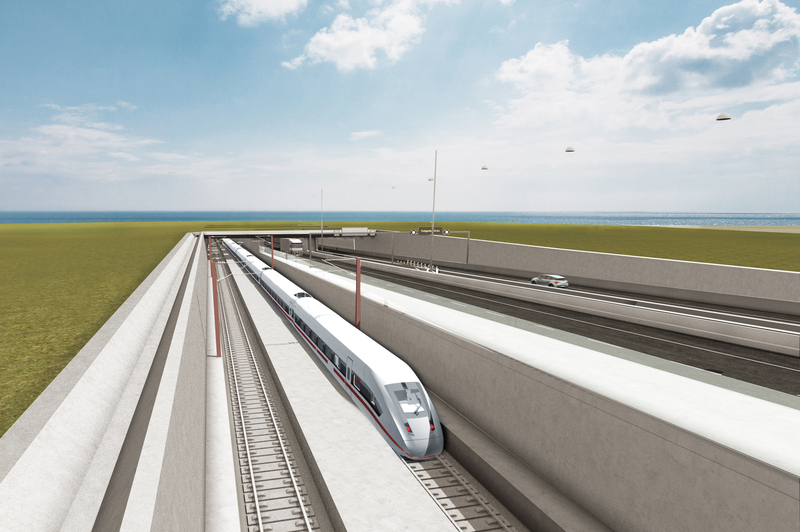 The connection will be an 18 km immersed tunnel between Rødby in Denmark and Puttgarden in Germany, and it will be the world’s longest immersed tunnel with combined road and railroad. The tunnel will shorten the trip between Copenhagen and Hamburg by 160 km. “We are very proud to contribute to making history when Scandinavia is more firmly linked together with the European continent. The Fehmarnbelt tunnel will create great opportunities, not least when it comes to jobs and trading possibilities between the countries. Our strong team from Denmark, Sweden, Norway and Germany has the required core competence, and we are looking forward to getting started,” says Mats Påhlsson, President ÅF Infrastructure Division. The international team poses a skilled team of consultants and gives Femern A/S the opportunity to call upon various highly specialised experts from the partner’s network of consultants. “The parties we have chosen have a very attractive offer, and we look forward to working with them,” says Henrik Christensen, Technical Director at Femern A/S. The framework agreement has an estimated value of EUR 35 million. ÅF is an engineering and consulting company with assignments in the energy, industrial and infrastructure sectors, creating progress for our clients since 1895. By connecting technologies, we provide profitable, innovative, and sustainable solutions to shape the future and improve people’s lives. Building on our strong base in Europe, our business and clients are found all over the world.